Can My Baby Eat Scrambled Eggs? Because of the perceived risk of food allergies from eating egg whites, most experts once recommended not giving whole eggs to children under twelve months of age. However, it was usually considered to be okay to just give them just egg yolks, once they were 7-10 months old. That advice has changed greatly now, as it didn't really prevent food allergies from developing in kids. The American Academy of Pediatrics, in their latest recommendations, now state that infants can "begin consuming foods in addition to breastmilk or formula after 4 months of age, preferably at 6 months of age." They also state that "Although solid foods should not be introduced before 4 to 6 months of age, there is no current convincing evidence that delaying their introduction beyond this period has a significant protective effect on the development of atopic disease," including eczema, asthma, hay fever, and food allergies. 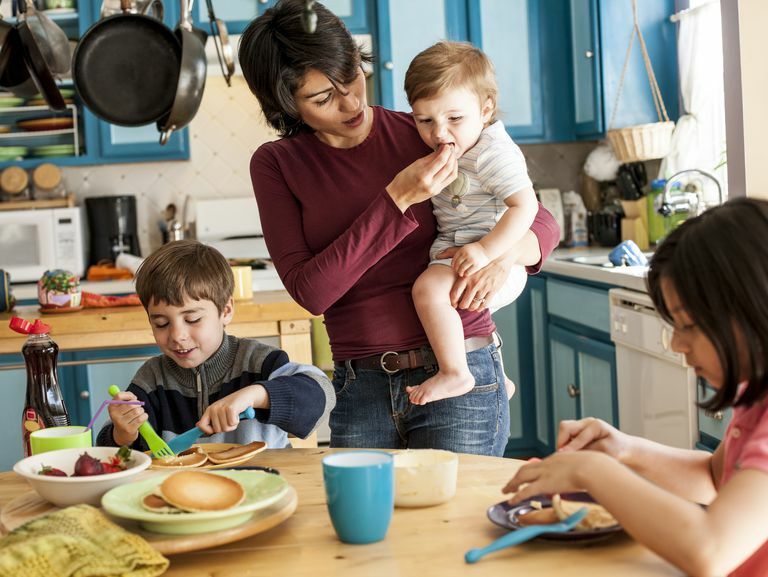 It still surprises some parents, but except for not giving honey to infants under 12 months of age and avoiding choke foods, there aren't any recommendations to avoid allergy foods anymore. So yes, you can feed your 11-month-old scrambled eggs and you can even use the egg yolks (and some formula, cheese, and butter of course). And because of the risk of food poisoning from Salmonella, be sure to cook the eggs thoroughly. On the other hand, in addition to iron, egg yolks can be a good source of DHA, an important component of breast milk, which is now being added to infant formulas and baby food to try and promote a baby's growth and brain development. Eggs are also a good source of protein and many vitamins and minerals. American Academy of Pediatrics Clinical Report. Diagnosis and Prevention of Iron Deficiency and Iron Deficiency Anemia in Infants and Young Children (0-3 Years of Age). Pediatrics 2010; 126: 1040-1050. Greer, Frank MD. Effects of Early Nutritional Interventions on the Development of Atopic Disease in Infants and Children: The Role of Maternal Dietary Restriction, Breastfeeding, Timing of Introduction of Complementary Foods, and Hydrolyzed Formulas. Pediatrics 2008;121;183.